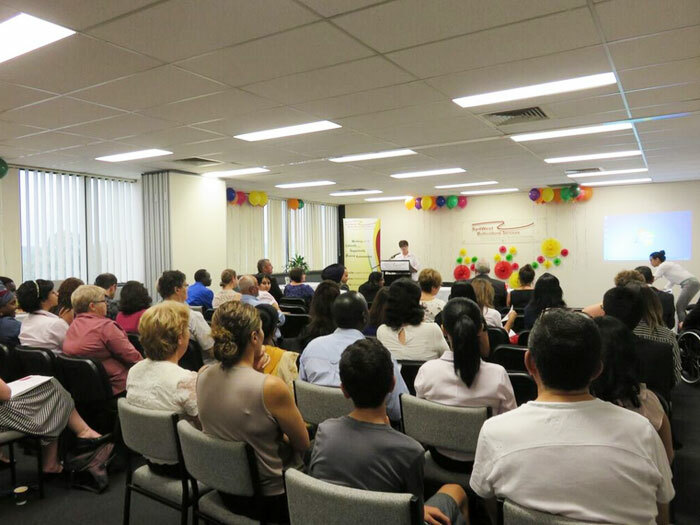 SydWest Multicultural Services has meeting rooms available for hire at both our Blacktown and Mt Druitt office locations. Our meeting facilities are available to community groups and service providers. Priority groups and activities are prioritised according to relative needs. We use a documented system in order to be consistent, transparent and as fair as possible in processing booking requests. SydWest Multicultural Services meeting rooms are not available for private functions or political meetings. Meeting Rooms 1 and 2 can be combined for larger events and are located on Level 2, 125 Main Street, Blacktown. Meeting rooms on Level 2 are available for hire Monday to Friday from 9am until 5pm. These rooms are not available during the weekend for external groups. Meeting rooms 3 and 4 can be combined for larger events. Meeting rooms 3, 4 and 5 are located on the Ground Floor of 125 Main Street, Blacktown and are available for hire Monday to Sunday from 9am until 9pm. The meeting rooms are located at Shop 3, 6-10 Mount St, Mt Druitt and are available for hire Monday to Friday from 9am to 9pm. Priority groups are identified as those who support CALD communities in the Blacktown LGA. Please note: All activities must be related to our clients and their needs in relation to SydWest Multicultural Services’ Mission Statement. Priority activities include conferences, seminars, workshops, information sessions, educational cultural or social activities and settlement information sessions for newly arrived migrants and refugees.